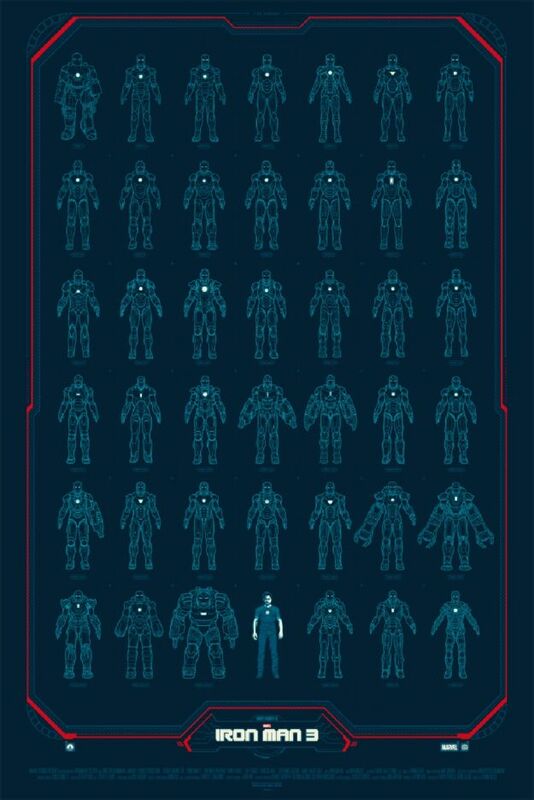 Alternative poster designers Mondo have revealed some brand new pieces for Marvel’s upcoming Iron Man 3 (via USA Today). The first was designed by Toronto’s Phantom City Creative and features many of the various armors that Tony Stark has built in the film. Only 250 will be available of this edition and they will cost $45 each. The remaining two posters, a standard edition and color variant, were designed by artist Martin Ansin and feature much of the principal cast for the film. 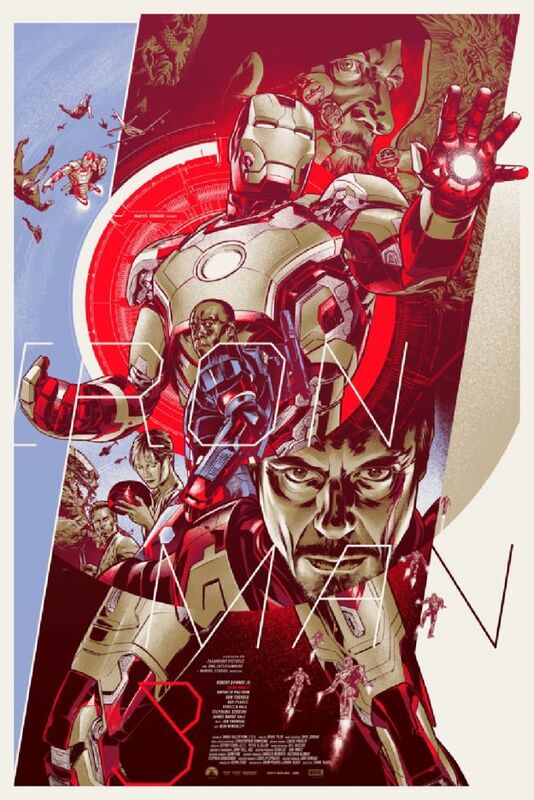 The standard edition is limited to 450 prints and costs $50, while the variant has only 200 and costs $75. The prints will be available on Friday to coincide with the release of the film. Keep an eye on the Mondo Twitter account to see when the prints go up for sale. Click on the images to see a bigger version!